Wanting to make a video showing different parts of the wall I went to 6 different locations. Some more scenic than others. And I can tell you that the more scenic one I have been to were close to Beijing. My favourite being the hike between Jinshanling to Simatai. 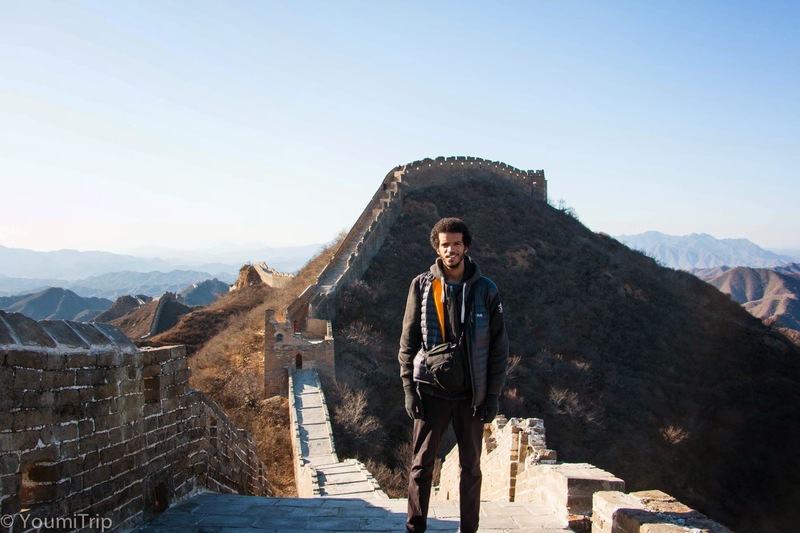 I wanted to do something special for my 30th, so I went to the Great Wall at ... with my friend Zhao. The place is real close to Beijing, about 40 minutes drive. The start of the hike is in a valley and goes up on each side. The bummer is that there is a highway at the bottom of the valley which makes the spot quiet noisy in some parts. Otherwise, once reaching the top of one side, it is impressive to see the other side and the surroundings. Once at the top we took out a cake and tried to light up candles but the wind did not allow us to do so. 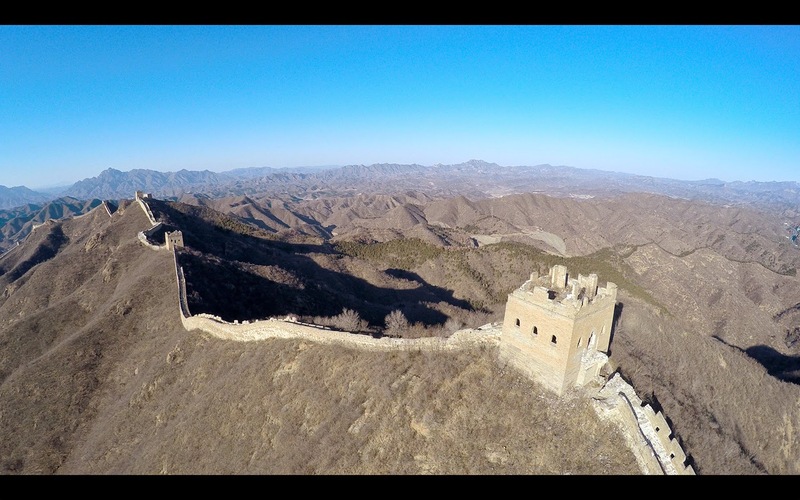 Anyway, cake in one hand, quadcopter in the other, I was ready to celebrate my 30th birthday on the Great Wall of China! 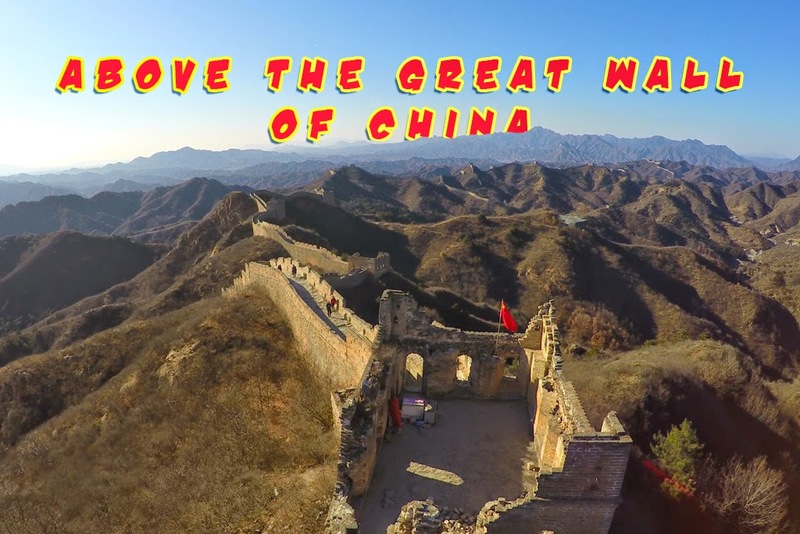 Those were far from the scenic spots but one of them was quiet important for me as I really wanted to include it in my video; it is the start of the Wall... or the end depending which way you take it. Well, if you do not have as much time as I did in Beijing, you can safely skip it as it is not really pretty. Seriously, it is in what can be described as an outdoor museum in which you find different sorts of statues, small buildings and the start of the wall a few meters in the water. On top of that, when facing the water, you see a toms of cargo ships (there is a port not far). 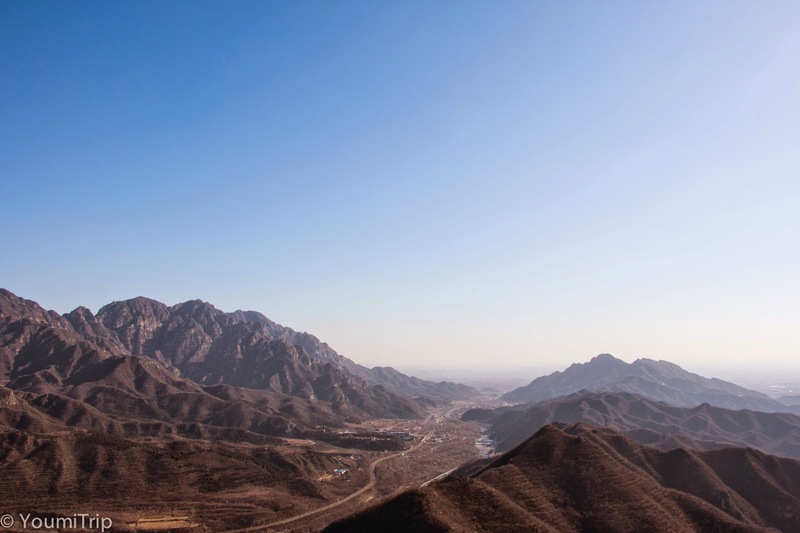 On my first day there I wanted to go to Jiaoshan but the taxi driver might have not understod what I was trying to explain as he drove me to a completely different spot further away, it is called Jiumenkou. No big deal, I just thought "Another part to film". 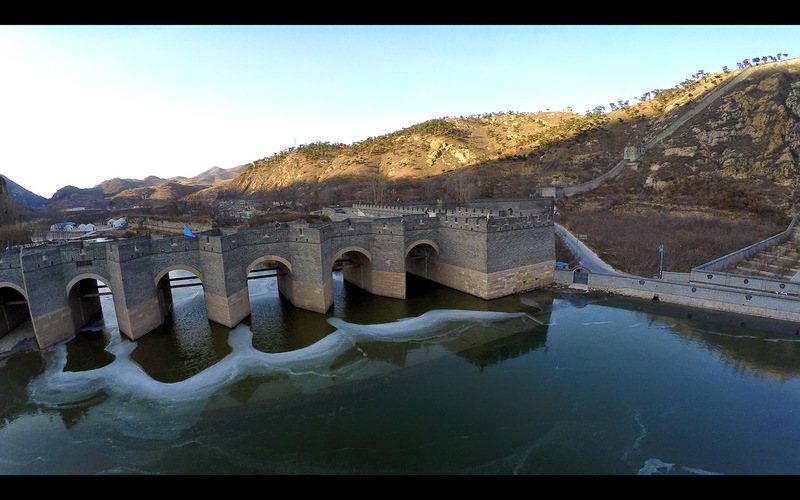 Turned out to be a part where you can find one of the few bridges of the Great Wall. The bad part is the entrance fee. ¥60 / 8€ / $10 for something that you can walk through in just 15 minutes, seems to be expensive for what it is. 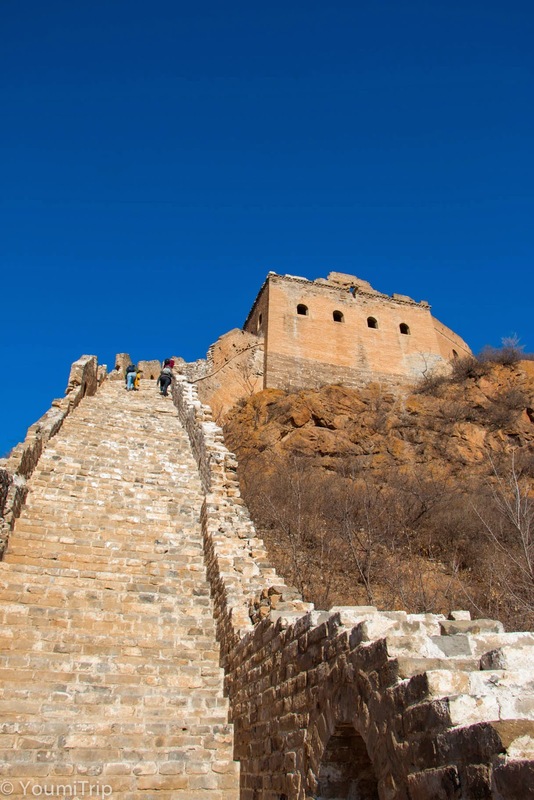 So the following day is when I went to the start of the wall (with the same taxi driver) it is in Laolongtou This spot is just about 3 kilometers from Shanhaiguan center. The entrance fee, ¥30 / 4€ / $5 is probably not worth it either. Then I finally went to Jiaoshan and took another video there. The most scenic spot of the 3, and the cheapest ¥10 / 1.5€ / $1.6, as you hike up a mountain on the wall and you then get a nice view of the surrounding from the top. You can either hike or take the cable car, but it is closed during the low season. On my last in Beijing, I met with my friend Tingerine. I had met her on the Trans-Mongolian train from Irkutsk to Ulan Bator. She was on her way back to Beijing with one of her friends. She is a film director now living in New York city and with her cousin they took me to Mutinyau, about 1.5h driving from Beijing. On the way there, we stopped in Mutinyau village to have lunch. You can choose the kind if fish you want from the bassin they have outside the restaurant and 10-15 minutes later it is on the table. Can hardly eat fresher than that. 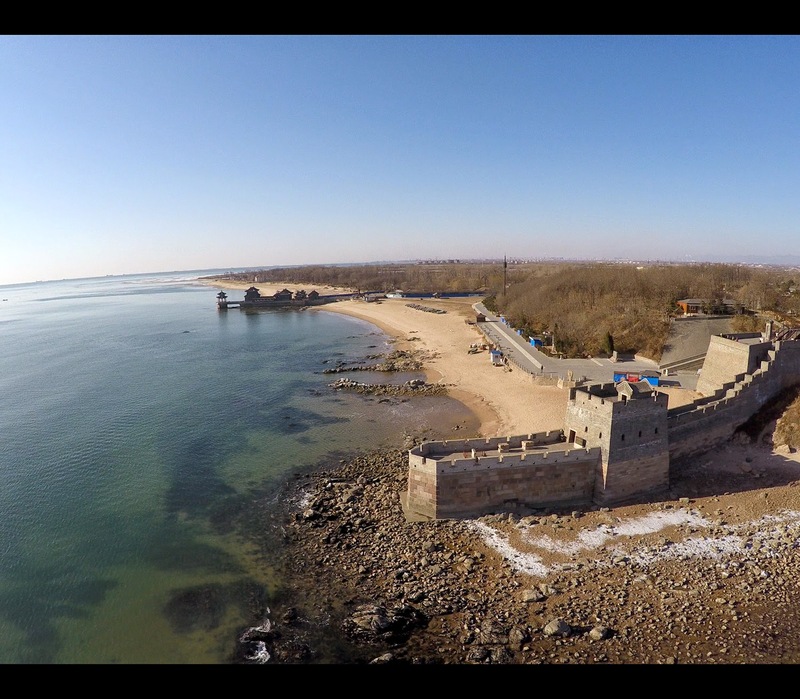 Once on the wall I took a couple of videos with my quadcopter. The weather was hazy but it is a beautiful part of the wall to hike. 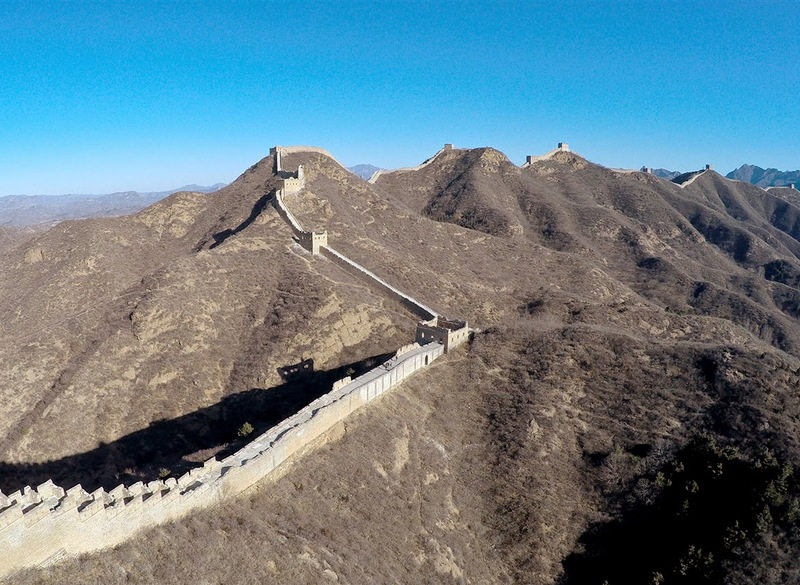 The Great wall of China is a must see if you go to Beijing, and not only because of the history and all the fuzz around it. But once you're walking on it and you see that it stretches for kilometers in front and behind you through the mountains, it is just an amazing feeling. You feel both so puny. 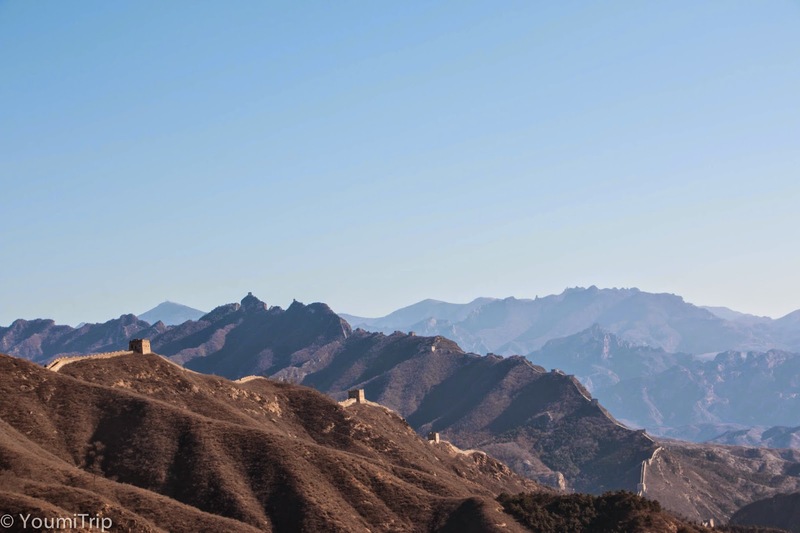 If you had to choose one spot to go to, I would highly recommend you to do the hike from Jinshanling to Simatai. 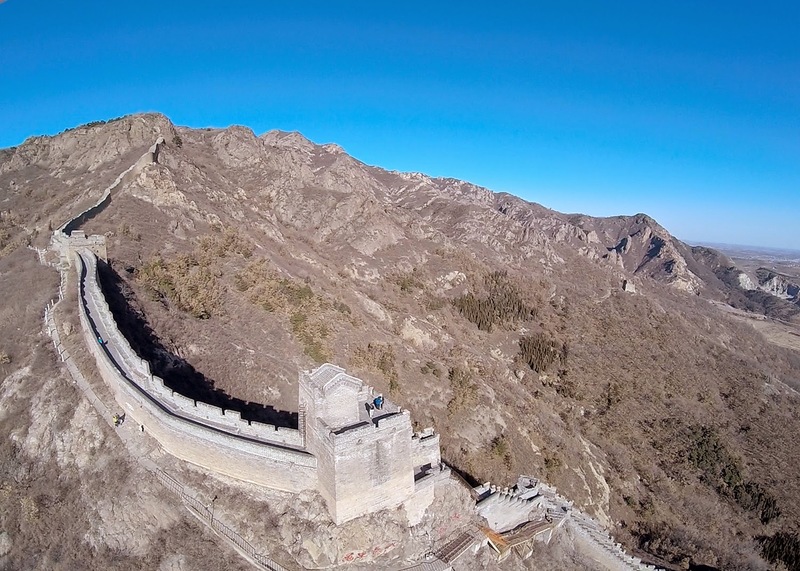 And you, where did you go on The Great Wall?